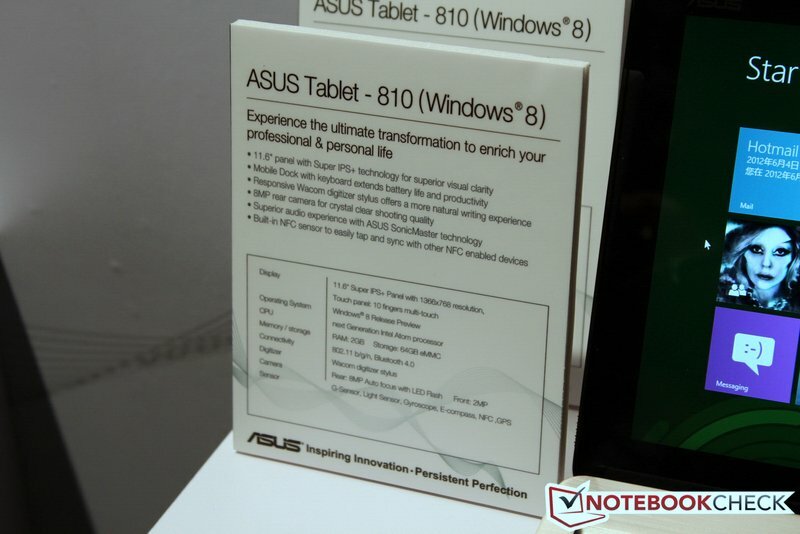 After sharing their vision of an “Asus Open Cloud Computing” (AOCC) network, the Taiwanese manufacturer went straight to their preview tablet offerings. 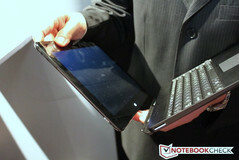 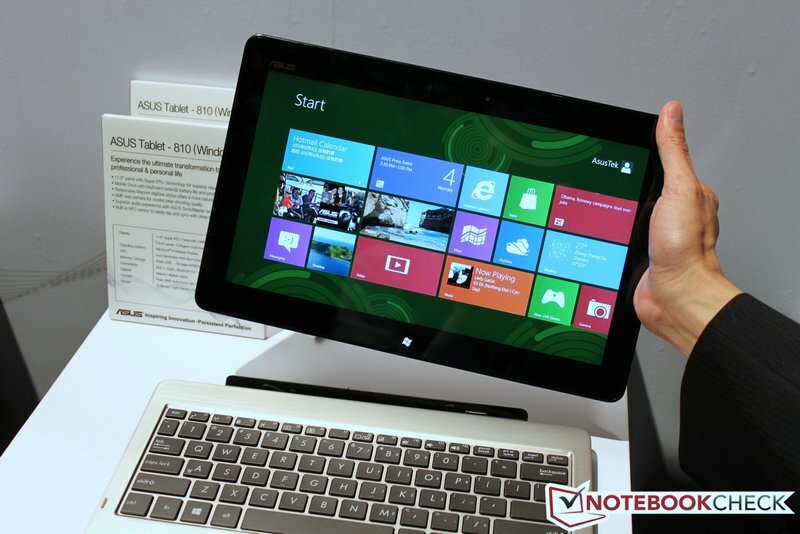 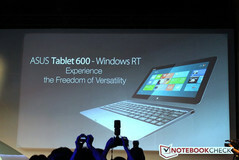 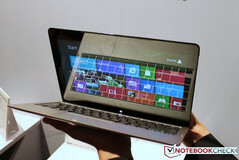 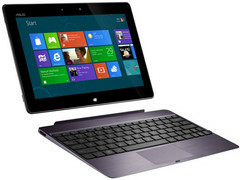 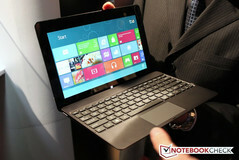 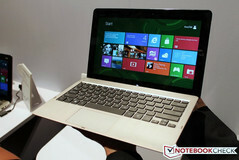 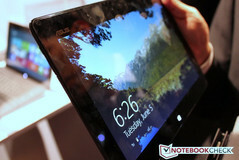 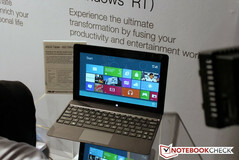 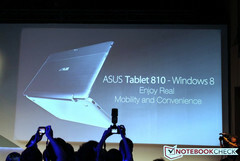 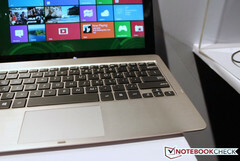 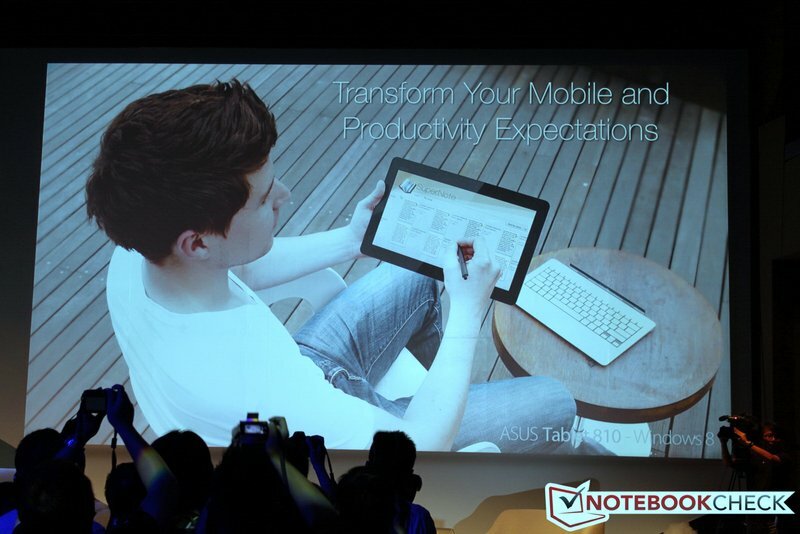 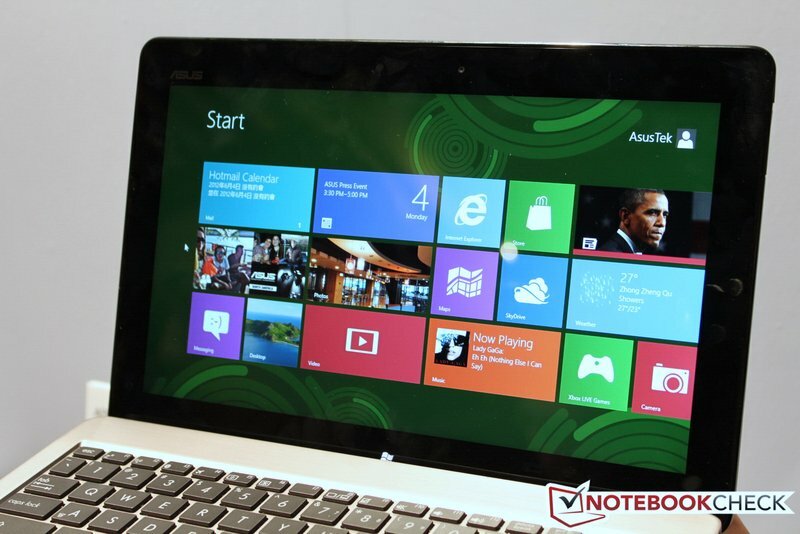 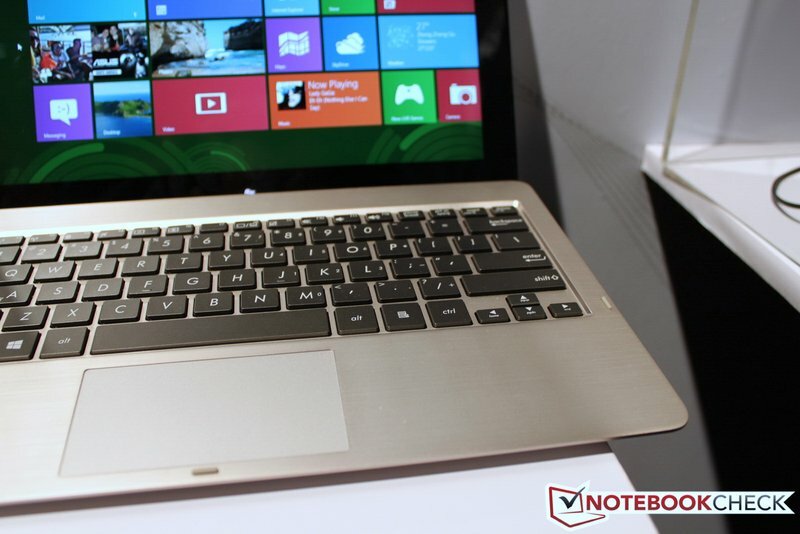 In particular, Asus showed off two of their upcoming Windows 8 tablets, so far named Tablet 600 and Tablet 810. 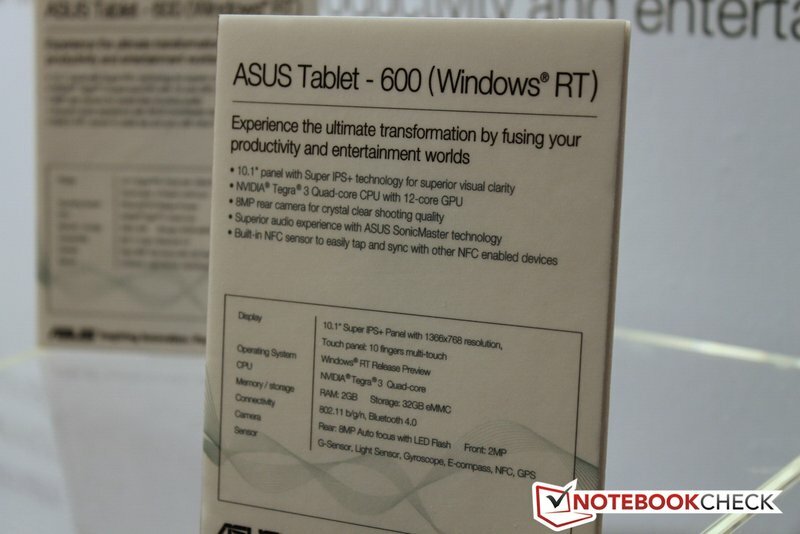 Both tablets actually looked quite similar to the Asus Eee Pad Transformer, but it’s the core difference on the inside that has gotten us intrigued. 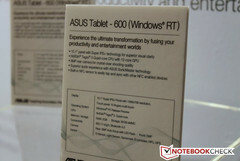 The Tablet 600 will be one of Asus’ first ARM-based Windows 8 tablets and will run on Nvidia’s Tegra 3 4-plus-1 quad-core SoC. It will undoubtedly be interesting to see how Microsoft’s OS will fare on a non x86-based platform as previous reports claim that Windows compatibility with ARM systems just isn't up to speed yet compared to tried-and-true x86 CPUs. 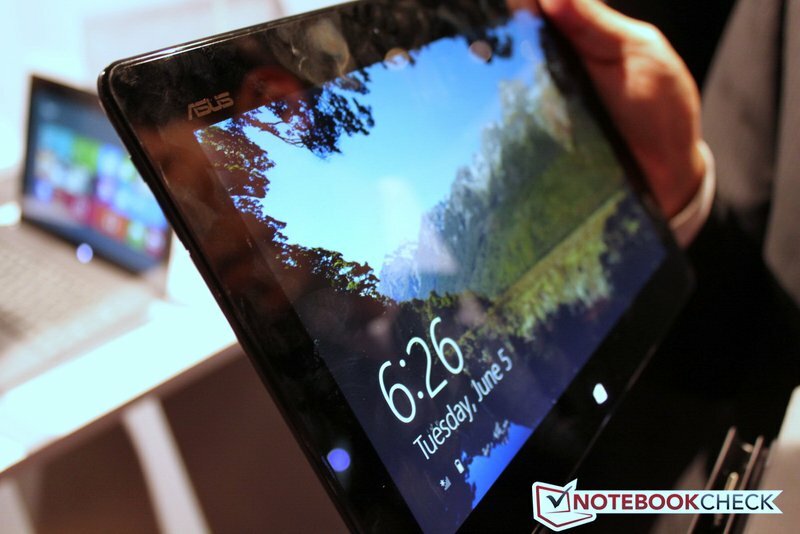 Otherwise, the rest of the specs appear to be typical for the 10.1-inch tablet: 520 grams at 8.35mm thick, 1366x768 resolution screen, 2GB RAM, Super-IPS+ display, 32GB eMMC flash memory, 8MP and 2MP front-and-rear cameras, WiFi-n and Bluetooth 4.0. Notably, the tablet will also support NFC and a keyboard dock. 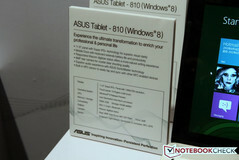 The other side of the tablet fence is the Asus Tablet 810, which will be one of Asus’ first Windows 8 tablets running on an Intel Atom SoC. 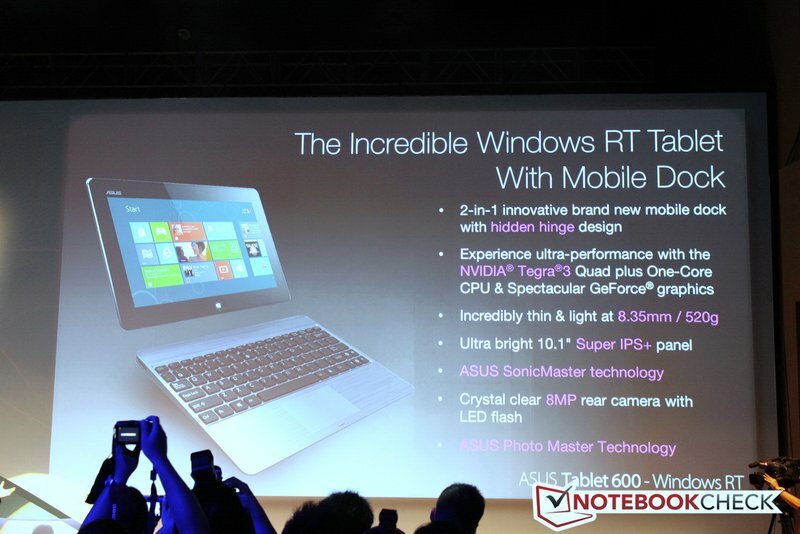 The manufacturer would not go into detail the exact CPU and only vaguely refers to it as the “Next Generation Intel Atom processor”. 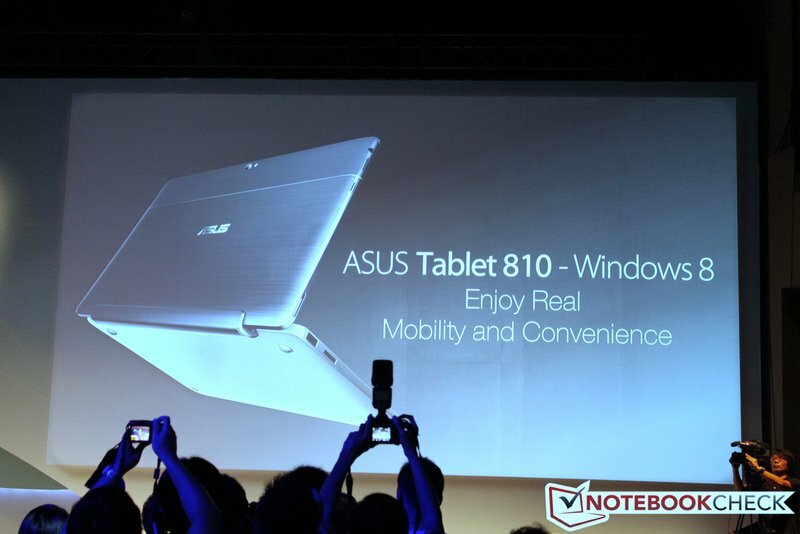 Nonetheless, the 8.7mm thick tablet shares the same IPS display of 1366x768 pixel resolution with mobile dock support, NFC, 2GB RAM and 8MP and 2MP cameras, but with twice the flash memory at 64GB and even stylus support. 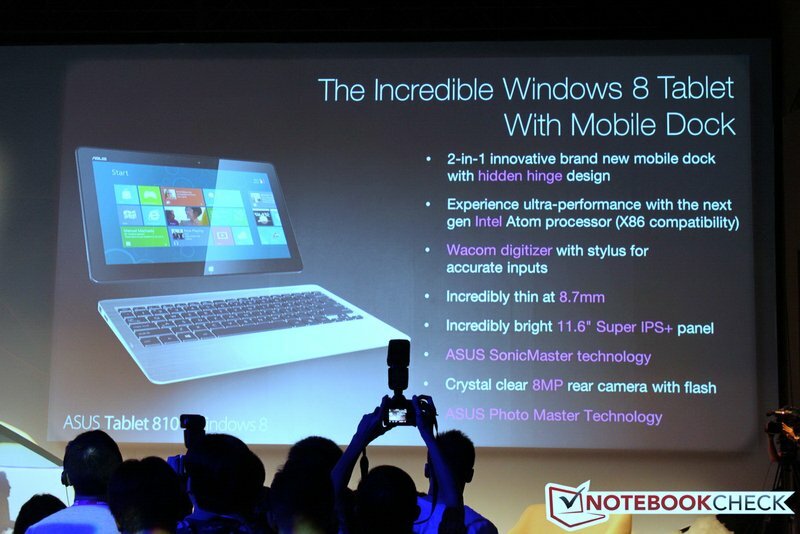 As usual for press conferences, pricing and releases dates have yet to be revealed for the new products. 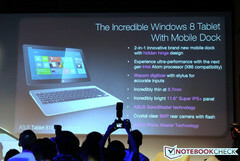 Definitely expect more news in the coming days as Computex 2012 continues.